Buy the latest Kindle Fire HD. How about an iPad? Maybe a Kobo Glo or a Nook? All of these digital readers and portable devices are truly taking away from print. What ever happened to that any way? Oh yea… that’s right… Digital and Emerging Media was discovered and just like that, print was doomed. No more gorgeous catalogs, cool magazine print ads and anything that had any character to it whatsoever. Everything is now digital. However, a few brands aren’t buying completely into this. They are sharing the love both with traditional print and interactive media to make the best of both worlds. Can you guess who I am talking about? I will give you a hint.. royal blue & lemon yellow. If you guessed IKEA, congratulations, you were spot on. And they do believe home is where the heart is. This is why they also focus on having a physical catalog time and time again for you to set on your coffee table, take with you on a long flight and open up to that one page you just keep going to first… In fact they call it their Book Book. Their book book was so successful that they can continue to print them and know they will end up in the hands of their consumers. Ironically enough, the video they made in parody of di gital products has over 18 million views on Youtube and became an instant viral sensation. So yes, through the use of digital media, they not only promoted their message for sticking with traditional print, but they created another message for their consumers: tradition. This is a concept being lost by many brands. Too many are running away from their roots and becoming so focused on technology, it is hard to market their roots. This is one thing Ikea has not lost and that they continue to dominate in the home furnishings market. On top of that, they do offer the interactive online catalog for apple, android and other digital products. It really is a marketing masterpiece. It’s Not Just IKEA. Hooray! Many other brands are picking up on this cross marketing idea as well. Nordstrom, Crate & Barrel, Patagonia and Pottery Barn are all great examples of brands who continue to embrace this craft. They are infamous for creating brilliantly elegant catalogs as well as digital versions and interactive advertising and online sources to promote their catalogs. In general, the idea of printed catalogs is on the rise and retailers known for doing everything digital have sunk into this world of mailing printed pieces. And it seems catalogs are here to stay. In fact, Nordstrom has even stated customers who have a multi-channel relationship with their brand spend four times as much as those who do not. I mean I am guilty to say I look forward to the release of the new catalogs as I LOVE to flip through each unique design as well as see the latest and greatest fashion trends all with the flip of a page. A real page that is. Are You The Catalog Type? 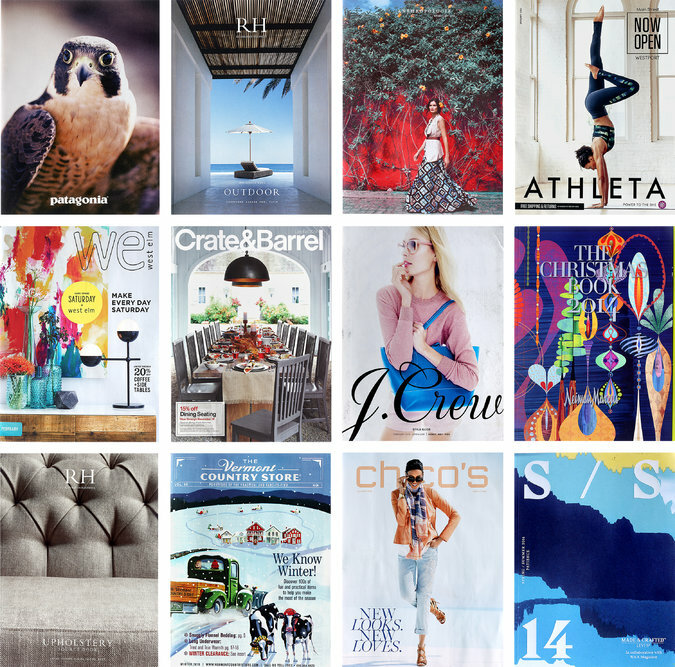 I think I have established the catalog is here to stay and that I couldn’t be more excited for traditional print to be back on the rise, but how do you feel about it? Are you more of the digital junkie or the traditional print lover? Let’s just say it is never a bad thing to have a Book Book.